Our mother, Virginia, went to join her heavenly Father on Sept. 25, 2018. She was born in Oak Hill, West Virginia, Jan. 22, 1924, to parents, George Marion and Rosa Mabel Teel Johnson. She was 94 years old. She was one of 13 children. Mom married William M. Ellison in a double wedding ceremony with his sister, Evelyn and her beau, Beryl, on April 1, 1940. Together they raised three daughters. They remained in West Virginia until 1954 when they moved to San Diego, California. In 1970, she met and married for a second time to Harry D. Vilott. At the time of her death, they had been married for 48 years. They resided in San Diego until they retired to Palm Desert, California, in 1994. From there they moved to St. George, Utah, in 2013 to enjoy the red mountains, blue skies, and slower lifestyle. Mom had a varied work career. Although she did not have a college degree, she was one of the smartest women we knew. She grew up in Oak Hill playing the church organ or piano, beginning at age 16. She also played the violin. Early in her marriage she worked in the local 5 & 10 cent store. 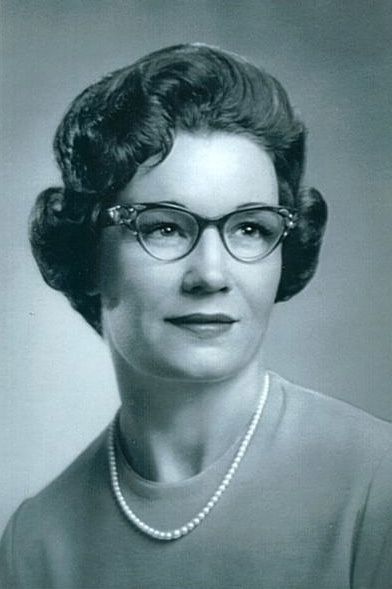 She was a salesperson in several department stores in San Diego, became a realtor, worked in the accounting department for PSA Airlines, and best of all, was a wonderful and loving housewife and mother. During her marriage to Harry Vilott, they traveled, collected antique clocks, antique cars, tea cups and saucers, and thimbles. She attended the Brethren Church and later the Baptist Church. She was devoted to her large family, enjoying many happy times together. One of her fondest memories was meeting and getting to know Gov. Ronald Reagan on a PSA flight together. From that day forward whenever he came to San Diego on PSA, he would ask if she still worked there,and the management would send for her. 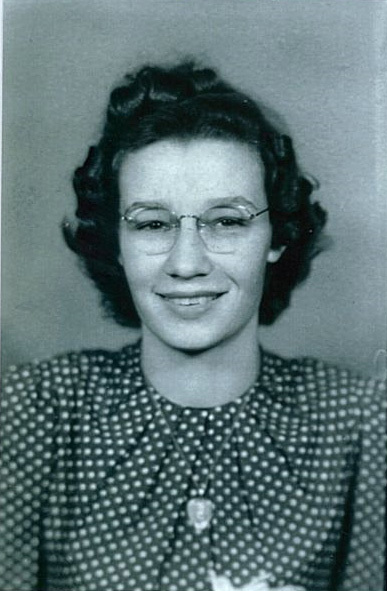 She is survived by her husband, Harry D. Vilott; sisters, Norma Hill and Margaret Marsh; sisters-in-law, Laura Mae Johnson and Lannie Johnson Smith; three daughters, Suzy (Bob), Marilyn and Cherelyn; grandchildren, Scott, Phil (Ginny), Kelly (John), Toni (Shaun) and Channa (Jeff); great-grandchildren, Glenn (Erika), Phillip (Kaylan), Ryan (Kelsey), Sabrina (Darin), Jennifer, Rachel, Shaunci, Ashley, Molly, Jordan and Jenna; great-great-grandchildren, CJ, Lennon, Max, Mason; and numerous nieces and nephews. She was preceded in death by her parents, George and Rosa Johnson; brothers, Marvin, Harry, Harold, Charles, Bobby and Pat; sisters, Mabel, Anna Faye, Ruth and Edith. Graveside services were held Sept. 27, at 10 a.m., at the Tonaquint Cemetery in St. George, Utah. A family memorial is being planned. Our family would like to thank Zion’s Way for all the love and care they showed Mother during her hospice care.